The Robison Family Murders, 1968. What really happened and why. 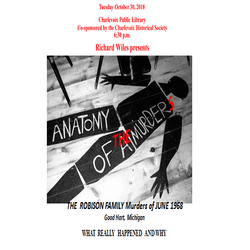 Spend an evening with local true crime experts Richard Wiles and Mardi Jo Link as they discuss the Robison Murders that took place in Good Hart fifty years ago.